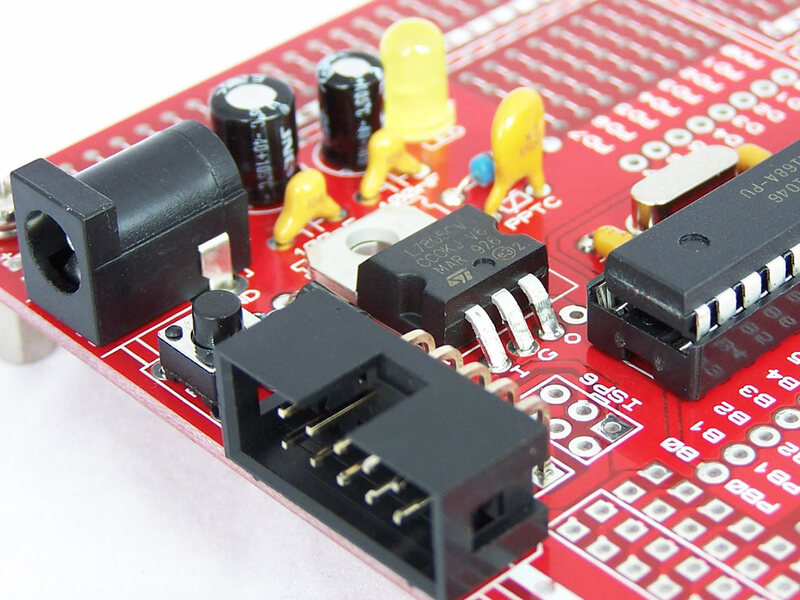 We released the 28 Pin AVR Development Board back in 2008 and since then it has gone through many iterations. This week we release version 1.6 which adds 4 improvements. These improvements were based on customer feedback and we are very grateful for the feedback. Please keep it coming. 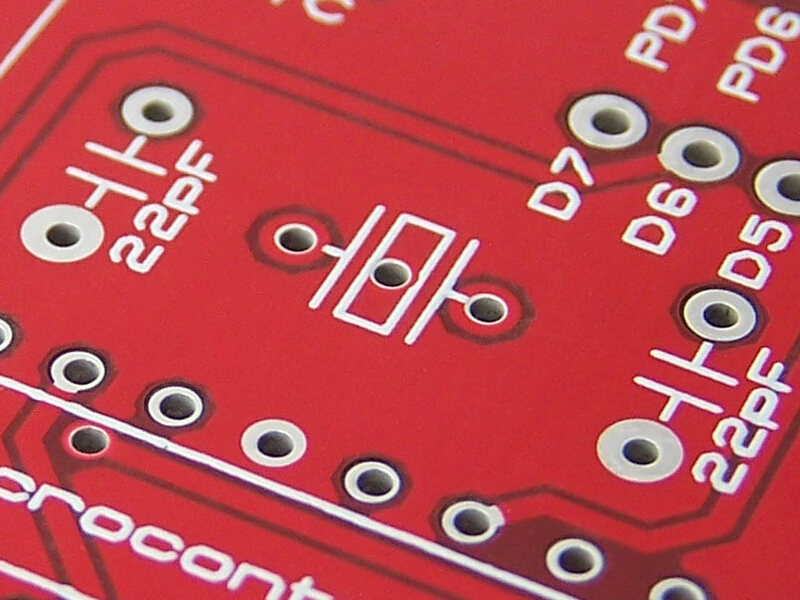 The size of the IDC/Dual row area has been increased from 2×8 to 2×9 holes. 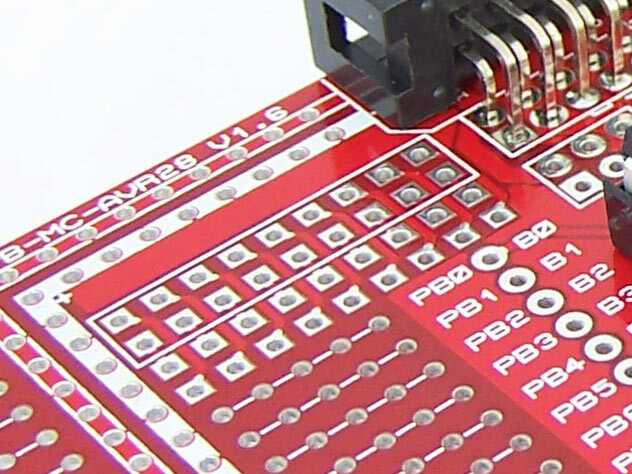 We added square and circular pads on the top layer for polarised headers. The main reason for this was to make them stand out more. Functionally they are unchanged. 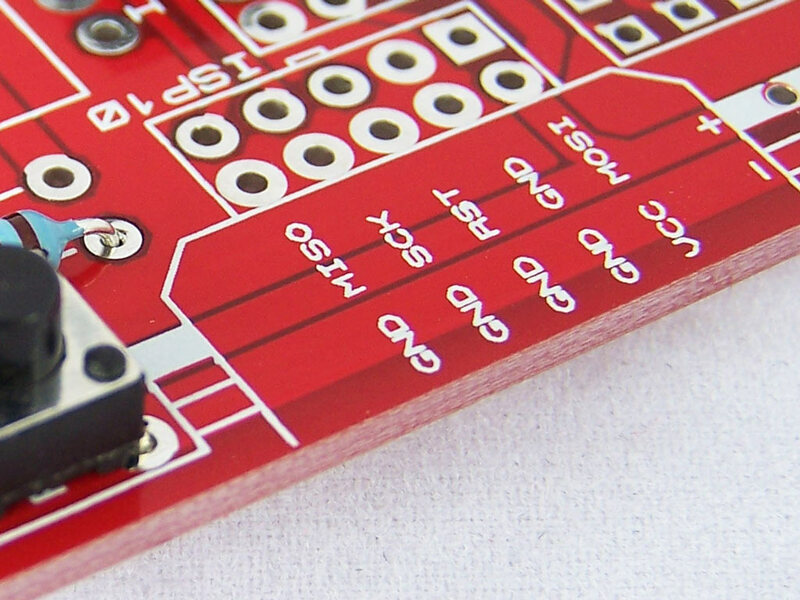 We added some labels for the ISP-10 connector. 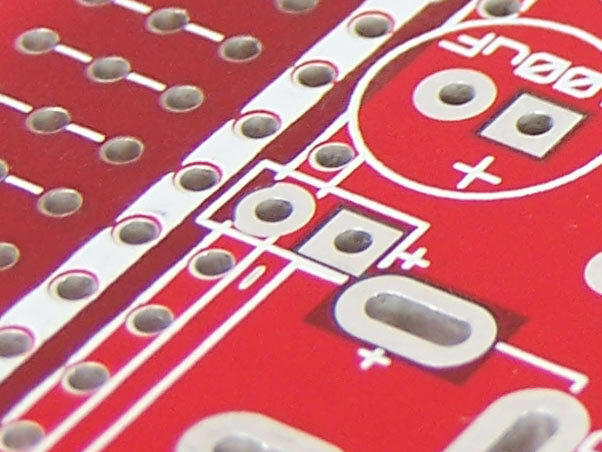 Crystal oscillator holes now have pads only on the bottom layer. This fixes a problem where the oscillator case was making contact with the pads.